After Joan left Carmelita she went to New York to dance for George Balanchine. HERE she talks about dancing his masterpiece "Serenade" and her work as a studio dancer in Hollywood. 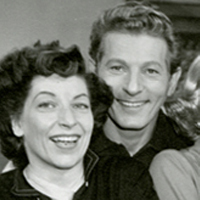 Joan 's husband Ray Weamer was a dancer too, working for Fred Astaire and Judy Garland. HERE Joan tells us about her marriage and family as well as how she became part of the American delegation at the dance competition in Varnia, Bulgaria.